Adam S. McHugh: Is the UK becoming more extroverted? I'm now shipping autographed copies to the UK, since the book is currently out of stock on the major internet retailers there. Select the drop down menu on the PayPal button on the sidebar. 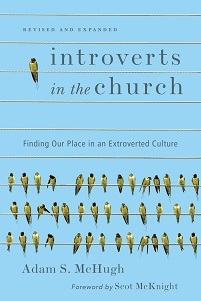 "Over 30% of the UK population are Introverts and yet they are often forced to operate within a system that is decidedly Extrovert and this goes for many in today's Churches. As the Church, faced with falling numbers, has sought to attract new members, many of its services have become more extrovert in nature forcing Introverts to make the unenviable decision, "should I go or should I stay." For those of you in the UK, do you agree with that statement? 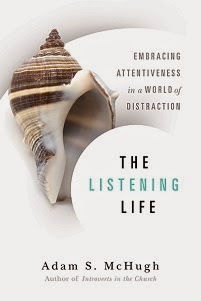 I've had to think more about introversion and different cultures recently, as I am giving at at World Vision International this week, applying the message of my book to a Christian NGO. World Vision has many international employees and I'm curious how someone from Africa, or South America, or Europe, will respond to my talk. I would love any feedback or suggestions!